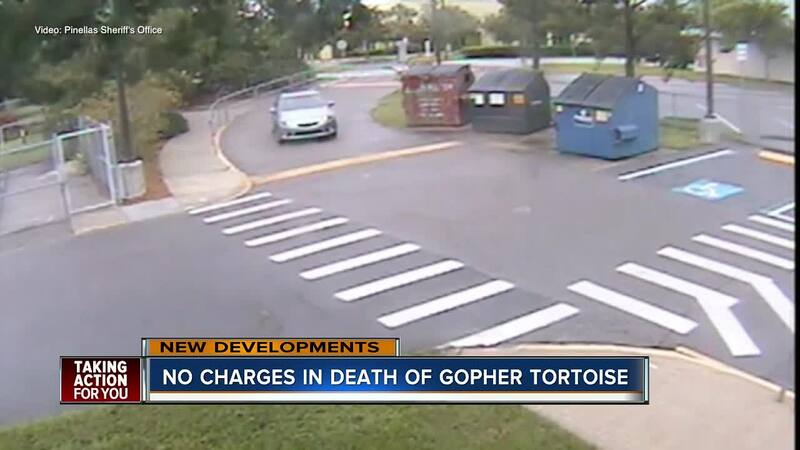 DUNEDIN, Fla. — Pinellas County deputies have identified the man responsible for driving over and killing a gopher tortoise at an elementary school in Dunedin. It happened in the bus circle of San Jose Elementary School. Deputies say the man is actually a member of the sheriff's office and is assigned as a school crossing guard for the elementary school. The man told deputies he drove to school with his wife on the day of the incident so they could take the route and confirm the school start and end times. The stop seen in the video, according to the driver, is him looking to see the school start times on the marquis. He then drove forward but was still looking back at the sign when he ran over the tortoise in the roadway. He says he did not see the animal until after he had already hit it. 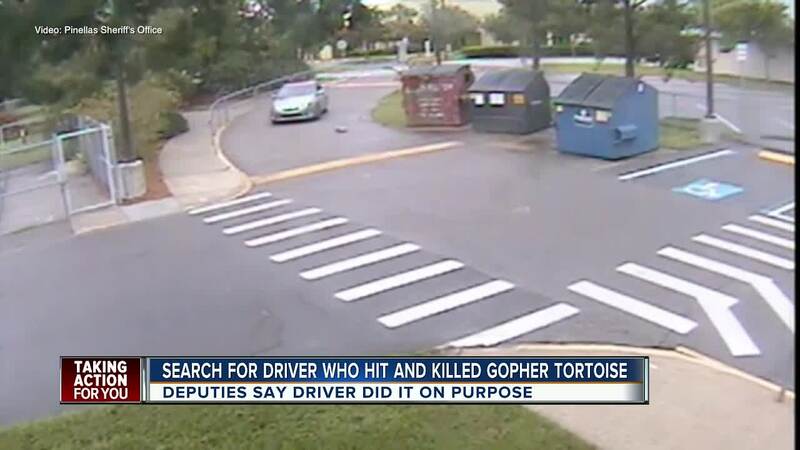 Deputies believe the man's actions were accidental and say there is no evidence to indicate he intentionally drove over the tortoise, and he will not be charged.